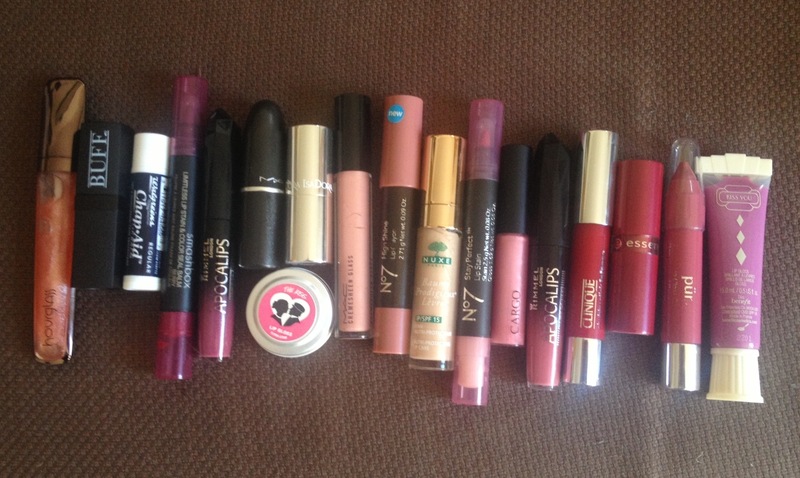 Lucky Thirteen of 2013: Lippy, and the View From Below My Nose | Bright & Beautyfull! WARNING: clicking through these links may result in PTND*. These were just the ones that were by the place where I keep my going-out-the-door stuff: my purse, the thingie with my Leap Card in it, my sunglasses. Lots of lippys — thirteen, in fact — lots of pictures of my nose from an… interesting angle. I reviewed eight shades of lipp-ay here, which alerted me to the proboscis problem — and then I clearly just chose to ignore it because: here I went again, and again, and… yeah. Um, and this one. And then also. The main issue I see is that I have not been wearing nearly enough purple/mauve lipstick. There’s my new year’s resolution sorted!